Cleaner Finchley provides professional end of tenancy cleaning, carpet cleaning, house, domestic and deep cleaning services in Finchley N3. A company that provides high-quality domestic cleaning services at low prices. It might sound impossible to many, but it is actually what our company offers. 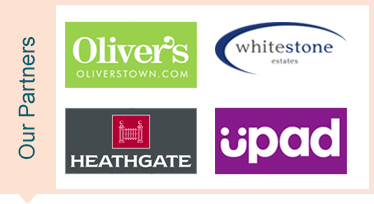 Our employees operate daily in all London areas, Finchley included. And, in order to book a service that best suits your requirements, you need to contact our round-the-clock customer support centre. Why choose us? We are hiring only professionals with long experience in the field. We are environmentally concerned so our cleaning solutions are only eco-friendly and 100% biodegradable. Thus, you might be sure that we are not putting your health and that of your loved ones into danger. Just the opposite, we are providing you with a clean and safe home. Moreover, you will not be asked to do anything. We offer one-off, weekly, and fortnightly cleaning services. It all depends on you. And what is most important, we are ready to prepare a custom cleaning programme that suits best the demands of each of our customers. Do not hesitate to inform our cleaners if you want to make any changes in the schedule or a particular area in your home to be paid more attention or just skipped. Communication with our customers is important to us, for it is what helps us improve our services! As I have already mentioned, these are only few of the many services we offer. We can organise you a beforehand meeting with your assigned cleaner, if you consider needed. It is also up to you to decide whether you want to be home when the cleaning takes place or to take advantage of our fully insured and secure key holding service. In both cases you will be perfectly happy with the results. You will be able to enjoy a clean and bacteria-free house or apartment. 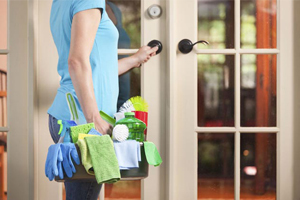 Leave your home to our professionals and deprive yourself of the tiresome and so annoying cleaning duties. You deserve it! Grab the phone quickly and call us now. Do not forget that we operate daily in Finchley and the rest of London. Copyright © 2015 - Cleaner Finchley.